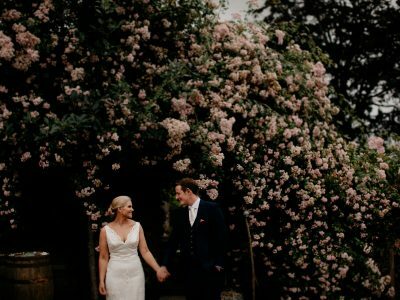 Lisa and Alex’s Irish wedding story is one for all you hopeless romantics out there. Lisa and Alex are the loved up couple behind 2 People 1 Life. You may know them as the couple who get married all over the world, all while raising money for UNICEF. I still remember laughing when Lisa told me that this crazy world adventure came about over chats and a bottle of wine one night… as most great ideas are. The next morning the mischievous plan was still swirling around in their heads… Within a few months they had planned the trip of a lifetime – they sold Alex’s business, their house, quit their jobs and packed their lives into suitcases and off they went in their beloved camper van Peggy to travel the globe in search of the most unusual and unique wedding locations, embracing different cultures and local wedding traditions. At the end of the adventure they would return to the favourite spot to “tie the knot.” They had originally planned to travel for two years. 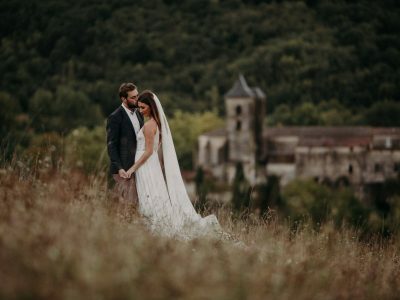 However, their spectacular adventure has since spanned 5 years, 5 continents, 65 countries, 71 ceremonies and they have driven very many, many miles all over the world. We all followed along with the adventure with much joy and laughter. We even cried sad tears when the couple had to say goodbye to Peggy in Pakistan (yes they have driven everywhere). Anyway, we were blessed to capture the couples Irish Wedding, which was their 41st! 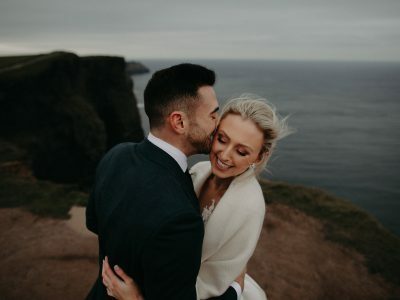 On a day that would cut you in two with the cold, Dara bound Lisa and Alex’s hands in an ancient old Irish ceremony which had the entire team (see below) in tears as the couple repeated the oldest of vows on that windy beach. Thanks so much, Lisa and Alex make a beautiful couple don't they?